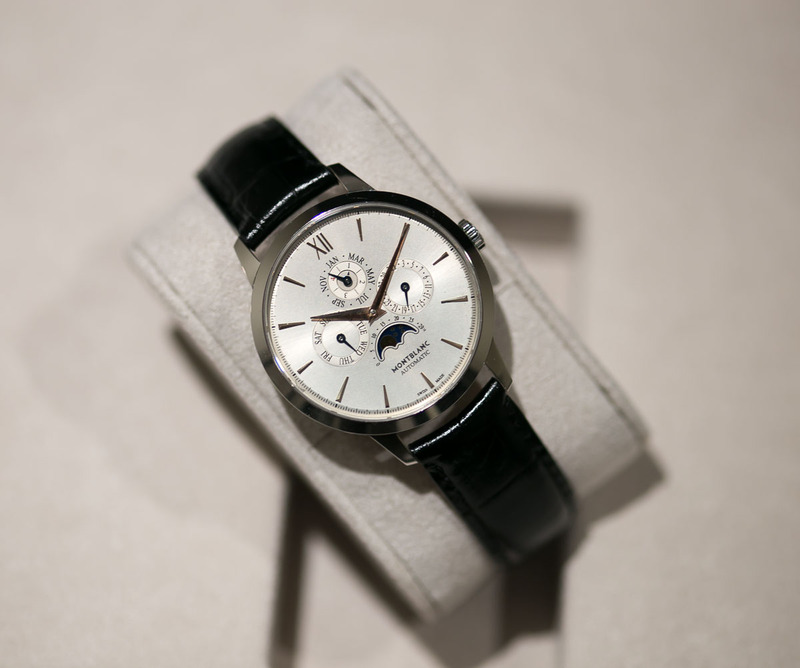 TimeZone : Montblanc » Drool Worthy? What Say You!! The Perpetual Calendar - just introduced in steel and pink gold. Let's focus on the steel version which at retail is priced at a "reasonable" $12,800 (compare to perpetuals from other manufacturers to see what I mean). Nicely sized at a tad under 40mm makes this very wearable in multiple settings. The two major criticisms I have heard and/or read are the lack of an in-house movement and the sub dial spacing (too close). For me, the spacing argument went away once I saw the watch in person and strapped it on my wrist (there are always trade-offs) and realized the overall size and presentation trumped the sub dial spacing and, quite frankly, legibility was fine! As to the in-house movement I ask if would you rather pay substantially more for a perpetual calendar with an in-house movement or trade the "appeal" of an in-house movement for affordability. I choose the latter! Next Topic: Montblanc and Urban Arts Partnership Team Up!